Our story goes back to the dark days of the 19th century, in the overcrowded streets and alleyways of the London of Dickens. 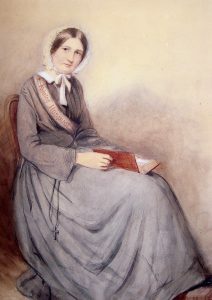 It was there that our Foundress gathered together a small group of like-minded women around her, women who had worked with her, prayed with her and shared her experiences in reaching out to the neediest, the most vulnerable and the most frightened people who thronged the vast metropolis of that time. We began in 1869, four women who wanted to make a difference knelt before the statue of our lady and dedicated themselves and their ministry to them, it was the first step on our journey of what was in 1872 to become the Poor Servants of the Mother of God. Frances Margaret Taylor was born on 20th January 1832 in Stoke Rochford, in Lincolnshire. Her father was an Anglican clergyman and Frances was the youngest of ten children. Her happy country childhood came to an end in 1842 when her father died and the family had to move to London. The poverty and the squalor of nineteenth century London came as a shock to her and her compassion moved her to work with the poor. In 1854 she went to the Crimea with Florence Nightingale’s Lady Volunteer Nurses. 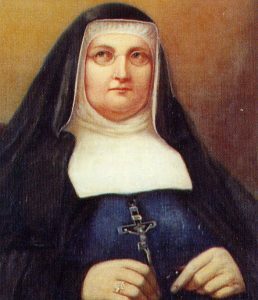 The plight of the wounded soldiers, the faith of the young Irish men and the dedication of the Irish Sisters of Mercy inspired her to become a Catholic. She was received into the Catholic Church on 14th April 1855. On her return to London she worked with Fr Manning who encouraged her to visit the Workhouses in the area where the poorest of the poor were housed and to acquaint herself with the life stories of those who existed in the crumbling hovels and fetid buildings of the city. This experience led her to make this work her life’s mission. Her desire to work for and with the poor, led her to found her own Religious Congregation in 1869/1872. They responded to the needs of the time working with the most vulnerable, especially women and children, and recognising and valuing the dignity and worth of each person. Her spirit and values form the thread which runs through all our work. She understood the Incarnation, “The Word Made Flesh” as the Father’s greatest gift to humanity. Her response to God’s great love and self-giving in the person of Jesus was her own love and self-giving. Her life story saw that expressed in the service of the poor whom she considered as the companions of Mary and Joseph. She wished her Sisters to respond with their whole lives to the generosity of the God who left everything to become one of us. “God will have our hearts love and the whole of it” she cried. For her this was the only response worthy of the gift of the Incarnation. She believed that we are given the hands of Christ to work with, the heart of Christ to love with, the mind of Christ to illumine the world. She died in Soho in 1900, having left in the word of Fr Scoles SJ at the final oration; “She has left a perfect work…” it is our endeavour to carry on that work, that attitude, that love to all those we serve today.